Mortgage Rate Calculator Online At Mortgage House! 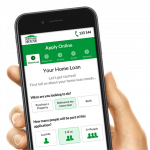 The wide range of mortgage options available makes personalising loan products easier than ever. Mortgage House offers dozens of ways to configure your home loan, and we are the go-to lenders for a whole new generation of Australians, as shown by the competitive rates available on our Best Rate Mortgage Calculator. How can the best rate mortgage calculator help my decision-making? Mortgage House encourages potential borrowers to have a hands-on role in decision-making. This includes our online tools and resources that educate and inform customers of our loan products, interest rates and borrowing advantages. The best rate mortgage calculator displays all the most attractive mortgage loan offers on one page, so you can easily compare the relative advantages of each product. From standard home loans to investment loans, construction loans and a whole lot more, Mortgage House leads the way with superior interest rates, conditions and mortgage flexibility. The best rate mortgage calculator provides the most important loan information required prior to decision-making. You will soon notice the Mortgage House advantages when investigating interest rates, comparison rates and regular repayment rates, and that’s even before taking zero annual fees and special deals into consideration. A slight climb in interest rates can add significant cost to mortgage repayments, while shaving a small percentile off your rates can ease the burden. When managed properly with the aid of the best rate mortgage calculator and other resources, your Mortgage House loan can even provide additional funds for paying off your mortgage sooner. Can I compare mortgage repayment amounts as well? Our best rate mortgage calculator is an extremely versatile tool that will help you narrow down the best loan options available. Simply by entering an estimated property value, loan amount, loan type and rate type, the calculator can offer dozens of great loans to suit your needs. If you are unsure of your eligibility for a loan, you may be surprised to find some of the best low doc loans on offer. A quick glance at the Mortgage House best rate mortgage calculator results will disclose our deals that add-up favourably against comparison rates and deals from other major lenders. At Mortgage House, we streamline our business operations and dedicate our focus to mortgage products, with the savings passed directly on to our customers. Mortgage Repayment Calculator: Calculate expected repayment rates across the range of Mortgage House products, including fixed rate, variable rate and other loan types. Borrowing Calculator: Get a reliable estimation of your borrowing power so you can commence the search for your dream home or investment property. Switching Mortgage Calculator: Find out the short-term and long-term advantages of switching to a mortgage product that more accurately reflects your needs. Stamp Duty Calculator: Examine stamp duty fees and other considerations that can impact your budget and borrowing power. Budget Planner Calculator: Collate important mortgage or loan information in one place for easy retrieval and reference. Mortgage House was established in 1986 to provide Australians with greater loan flexibility and manoeuvrability, allowing borrowers to evolve and grow along with the achievements and challenges that come their way. It makes good sense, as most mortgages last between 20-30 years, and adapting to each phase is easy when transitioning between tailored Mortgage House loan products. How can I find out what loan amount I can borrow? The Mortgage House Borrowing Calculator is an extremely useful tool. It’s exciting to see just how much financial leverage your hard-earned house deposit can provide, allowing potential borrowers to move forward with confidence. Once you know how much you can borrow and what you want to achieve with the money, it’s time to have a talk with your Mortgage House Lending Manager who will help you refine your options for an outstanding deal. The borrowing calculator will shine a light on your property goals and buying-power, while ensuring you don’t go over budget and suffer financial stress as a result. If your figures don’t quite add up and you need to revise your approach to expenditure, check out our Budgeting Calculator and get your finances back into surplus. When you feel the time is right to take out a mortgage, or you require further assistance with any of our award-winning loan products, contact Mortgage House for a comprehensive and confidential loan assessment consultation. Mortgage House is your progressive loan partners who remain with you for the duration of your mortgage. We are ready to adapt with you to your changing needs and will find ways to assist if circumstances take a downward turn. We will even tailor additional solutions for you when it’s time to renovate, rebuild or relocate, and our best loans and products are available to you at all times. How often should I make my repayments? Most mortgages are suited to weekly, fortnightly or monthly repayment schedules. Although each system appears similar, there are potentially big savings, depending on the way your loan is structured. For example, by making fortnightly repayments instead of monthly repayments on a 30-year loan, you will be making one extra repayment per year. The small savings add up over the lifetime of your loan, ultimately shaving several years off repayments and helping you achieve financial freedom much sooner. Your decision to choose fixed or variable interest rates will affect your ability to make additional repayments. Generally, fixed rate mortgages don’t allow customers to make additional repayments without incurring a fee, making this mortgage type unsuitable for people who require repayment flexibility without penalties. If your finances are fluid, it’s well worth making several additional mortgage repayments yearly, dramatically reducing the loan duration. Another option for those in a favourable financial position is to make your regular mortgage repayments a little higher than the advertised minimum repayment rate. In this way, you can enjoy flexible interest versatility while retaining a financial buffer to protect yourself from any future interest rate rises. What home loan products does the best rate mortgage calculator cover? First Home Buyer: Competitive rates make Mortgage House a genuine first home buyer alternative to the major banks. Second Home Buyer: When it’s time to consolidate your holdings and increase equity our second home buyer products have all the bases covered. Investor: Mortgage House offers several pathways that can help you pay off the investment property and reap financial rewards sooner than you think. Refinancer: Take the middle path during life’s ups and downs by taking out a Mortgage House Refinancer Loan and maintain your quality lifestyle. Construction: There is no more exciting time than when building a new home, and we have loans to help you maintain enthusiasm during every phase of the build. Renovation: Your home is your castle, and with a Mortgage House Renovation Loan, your castle can expand, increase in value, and always look its best. Relocation: Sometimes, relocation is the answer, so why not take the loan product with you to your next address, courtesy of Mortgage House. Self Employed: We understand you may have little documentation or irregular income, but if the figures add up, we will find the right loan product for you. Your Mortgage House loan product will be coupled with the most suitable loan type, with choices that include variable, fixed and split interest loans, interest only loans, a line of credit, bridging loan or another of our solutions designed for your success. How does Mortgage House offer superior home loans? The success of Mortgage House is due to the foresight and a genuine desire to provide Australians with a better home loan service. We are solely focused on mortgage and home loan solutions, allowing us to dedicate 100% of our resources toward the development of superior loan products with lower interest rates and better conditions. For some people, the loan offers provided by Mortgage House appear too good to be true. We invite you to explore our impressive loan selections and speak to a Mortgage House Lending Manager. You will soon come to realise the offers we provide are genuine and unbeatable, providing a pathway for all Australians to enter the real estate market and begin developing healthy financial capital. Mortgage House is the genuine alternative to Australia’s big banks and other lenders who remain aloof from their customers. Our goal has always been to put our customers first, and our impressive expansion during several decades of financial uncertainty indicates the solid backing you have with Mortgage House.